The latest National Association of Realtors (NAR) report on home buyers and sellers shows the ever increasing role that the internet plays in searching for a home. The study included persons who purchased a home in the 12 months ending in June 2008 and here are the results NAR found: In the ‘just starting to look’ phase: 33% went to the internet first In the ‘seriously looking for a home’ phase: 87% began with the internet 32% of buyers ultimately found the home they purchased on the internet Overall, 99% of the buyers found the internet ‘somewhat useful’ in their search and 81% said it was ‘very useful’. As the internet has become increasingly more important, we continually strive to keep our Traverse City Real Estate website as technically up-to-date and user friendly as possible. We not only syndicate to nearly 50 different websites including Zillow, Trulia, Craigslist, Yahoo and Google, but we also use powerful property marketing tools such as interactive 360 Virtual Tours, single property websites and more which puts your listing on YouTube and social networking sites! In this current market it’s not just real estate that is suffering but may sectors of our population. When the principal of the Guffey Community Charter School approached me about doing a virtual tour of the school in order to get more Internet exposure and perhaps some interest in the school, I agreed to do the tour. 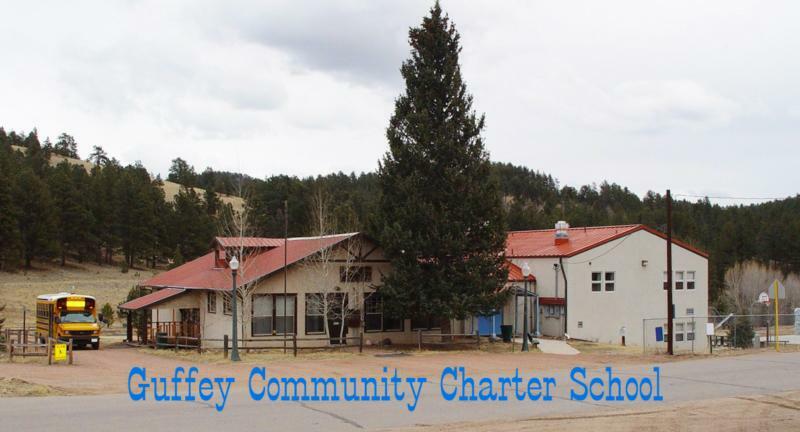 Guffey Charter School is located in the small mountain community of Guffey, CO. The school is K-8th grade and is based on the charter model of multi-age instruction with small class sizes that allow for individual instruction tailored to each students learning style. Student also participates in a “project” based on their interest. This years projects include robotics, baking and 4H dog care. Many of the projects and instruction are truly community based with parents and community members offering their services and expertise. For example, this year sculpting is being taught by a Louise Peterson, a local bronze sculptor. Not only does this class include the hands on working with clay but also teaches the student math principles as they reduce their piece by percentages into the working size. Each 8th grader is involved in a year long project of their choosing. At the end of the school year they present their project to the school and community during graduation. As an outgrowth of the virtual tour, one of the students has taken on the development of a blog for the Guffey School. The ongoing blog will involve detailing activities and projects of the school. He will also be working with his sponsor on the upkeep and development of the school’s website. Media Tours 360, provider of Charlotte virtual tours is very excited to announce the release of our redesigned website. We have spent many hours planing and designing the new look for MediaTours360.com and we are pleased with our results! Please visit us online at www.MediaTours360.com. While at www.MediaTours360.com, please take the time to visit our new virtual tour Gallery. Not only will you see examples of our Virtual Tours, you will also see our Agent/Broker photo galleries. These galleries provide Agent Contact Information, Listing Information, Listing Descriptions, Slideshows of all the still images associated with the property listing and a link to the actual Virtual Tour! In addition to the new Tour Gallery, you can now connect to our Metro Charlotte Real Estate Blog by clicking on the MT360 Blog tab on our nav bar. We have updated our MLS Pricing list ideal for Real Estate Professionals and our For Sale By Owner Pricing list. Each price list includes Tour Package pricing and à la carte ad-ons including our Media Tours 360 Enhanced Exposure Engine. Our Exposure Enginge gets get your Virtual Tour listed on over 70 websites including Zillow, Trulia, HotPads, Backpage, Craigslist and DotHomes. In addition, we go “Social” with your Listing by posting your tour on FaceBook, MySapce, StumbleUpon, LinkedIn, Twitter, Digg, Twine and over 20 more sites. Finally, as part of our Media Tours 360 Enhanced Exposure Engine, we create a video slideshow with the still images of your listing and post the video to YouTube.com, Google Video and AOL Video! That is Listing Exposure giving you the back link Power you need. We take care of it all for you!! We don’t just create a virtual tour for your listings and leave you to your own devices. We create complete and robust Internet Marketing plans for you and your customers. We keep everything updated and current until your listing sells! So, please visit our new website at www.MediaTours360.com and let’s market your listing together! At Media Tours 360, We Market Listings – You Sell Them!